Straight shaft, clockwise and counter-clockwise twist hooks. Round handle. Small, 0.3mm, left, counter-clockwise twist hook. 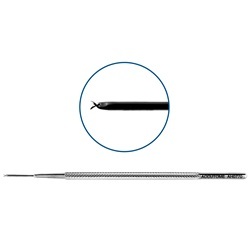 Overall length: 110mm. 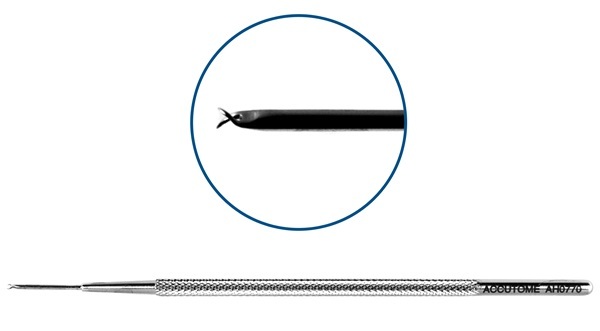 Small, 0.3mm, right, clockwise twist hook. Overall length: 110mm. Large, 0.5mm, left, counter-clockwise twist hook. Overall length: 127mm. Large, 0.5mm, right, clockwise twist hook. Overall length: 127mm.